Truck lettering is one of the best ways to get your business noticed. At Apple Graphics, we know that fleet managers and franchise business owners can benefit from vehicle wrap design advertising and can reap the rewards of between 30,000 to 70,000 visual impressions per day by utilizing unique and affordable vehicle wraps and graphics for their truck fleet. Many business owners are used to relying on traditional advertising strategies such as TV and radio ads, newspaper ads, mail and billboards. While these forms of advertising can attract potential clients, the most lucrative way to gain more business is through truck lettering. At Apple Graphics, we understand the importance of quality advertising. 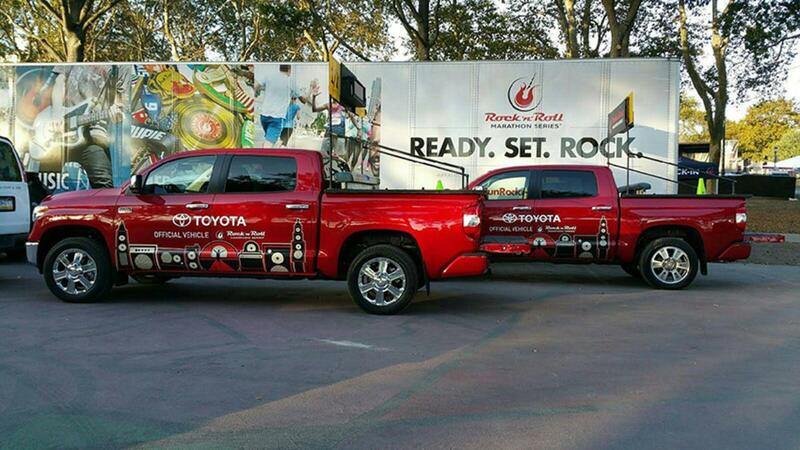 The current research indicates that truck lettering can result in up to 900,000 impressions per month. It is easy to see why custom vehicle lettering is a cost-effective yet powerful advertising solution for any business, regardless of its size. At Apple Graphics, we work closely with our clients to find out business contact information such name, address, phone number, and web address. We then use the information and work to create wraps that work perfectly for your trucks. A more affordable option to full vehicle wraps or partial vehicle wraps are custom graphics. These assist in branding your company vehicles. Some examples of graphics we have installed are paw prints for dog walkers, flowers for florists, and paint splotches for artists. If you own a business and you want to find simple ways to implement vehicle wrap designs into your fleet, Apple Graphics can help. We also provide customers with banners for their businesses. These can be custom designed in a wide range of styles and sizes to suit your individual needs. Since name recognition and brand identity are both important for franchises, our creative graphic designers will always work with you to come up with great ideas. Whether you need wraps or banners, we can help you create a design that will attract views from everyone.